Abbey Road Institute Amsterdam is hosting new series of events with one purpose in mind: Take sound and the role of a music producer Serious. And we found the perfect name for this platform: Serious Sound Sessions! Serious Sound Sessions is a new initiative all about sharing knowledge and inspiring experiences with passion for music, while supporting the firm belief that we are all learners AND teachers. Abbey Road Institute Amsterdam is partnering up with influential organisations and inspiring brands who share the same ideas and beliefs. This new platform and community are open to everybody with a music and/or songwriting mindset with the desire to grow in this field. So, if you are like-minded, a student or professional, working in music production and music business, this is your call. What can you expect from Serious Sound Sessions? So if you feel called to this new platform, and are open to learning from others and willing to share your ideas at the same time, we seriously encourage you to join the community. And to make it extra interesting: It’s free and monthly. Why do we believe it’s so special? Basically, we want to do this for one reason: we believe in sharing, we like what we do and we want to connect with people that have the same mindset. It gives us the energy and inspiration to keep moving and growing: Lifelong Learning is the key to success. We are very excited to announce our February debut. Our first edition of Serious Sounds Sessions is hosted by Abbey Road Institute and supported by Universal Audio, with a special masterclass by Ali Staton. Ali is a mix engineer and producer based in the UK. After four years being the house engineer for Island Records where he worked on influential albums for artists including Tricky, Lewis Taylor, Pulp, and PJ Harvey he went freelance. 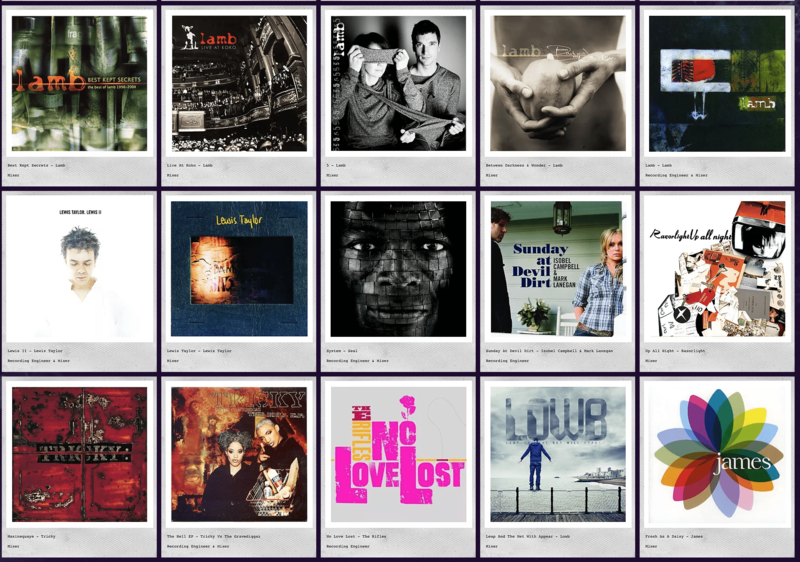 As an established mixing engineer he has gone on to work with a diverse group of artists including Madonna, Seal, Razorlight, Lamb and Rufus Wainwright, successfully combining work on both critically acclaimed and high profile pop projects. Ali has contributed to albums that have received a Grammy nomination, won a Brit award and a Mercury Music Prize nomination, as well as global Multi-Platinum and Gold sales awards. 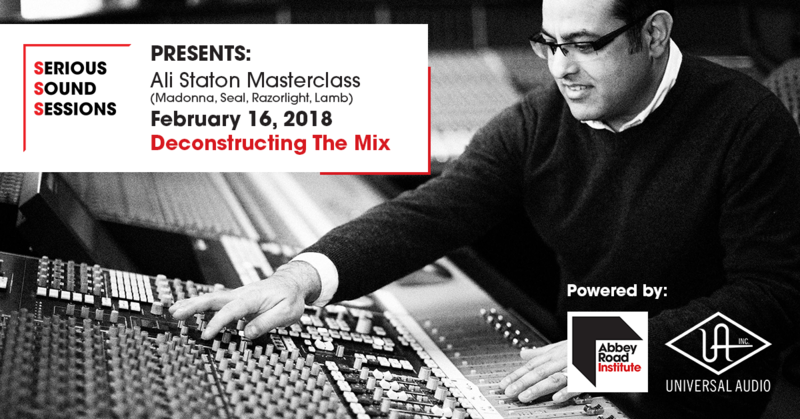 On the 16th of February, Ali Staton will be giving the Serious Sounds Sessions Masterclass Deconstructing The Mix where he will be showing his work on Turin Brakes single ‘Keep Me Around’ (video below). Which tools/plugins did he use, how did he apply them, what’s his approach to mixing, all running inside Pro Tools… find out more during this Masterclass. As a member of the Serious Sounds Sessions Facebook group you will get access to exclusive content, ask questions and engage with professionals, have the opportunity to attend our Masterclasses in Amsterdam, share your ideas and get inspired. All about music production, sound engineering and music business. What does it take to start your own Plugin Company?